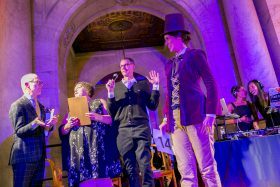 The New York Public Library is hosting the ultimate costume contest this Halloween, forcing participants to really “make it work.” Not only must costumes be inspired by a book or author, but they will also be judged by Project Runway star and fashion consultant Tim Gunn. 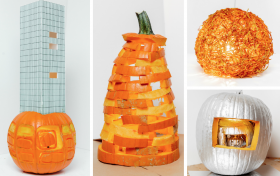 The Halloween Masquerade event takes place on Friday from 7 to 10 p.m. at the Stephen A. Schwarzman Building. 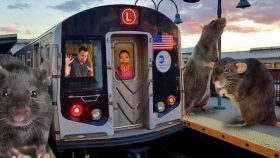 The impending 15-month L train hiatus has lots of people wanting to stand on a chair and go “eek!” to begin with, but some clever hosts have found a way to turn transit terror into a Halloween happening. 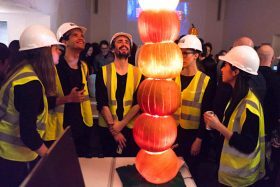 The L Train Shutdown & Club Transit haunted house and nightclub, which opened yesterday and will run through November 3rd, serves up a chilling six-months post-shutdown Brooklyn where “things did not go as planned” in a 40,000-square-foot Bushwick warehouse. 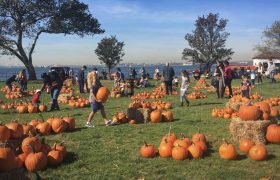 Mayor Bill de Blasio and First Lady Chirlane McCray on Friday opened the free ticket giveaway for festivities at Gracie Mansion this Halloween. 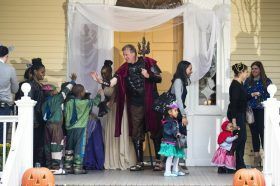 From Friday, October 26 to Sunday, October 28, guests will be able to tour the historic home decked out in a haunted theme and enjoy activities like face painting, story-telling, a magic show, and arts and crafts. 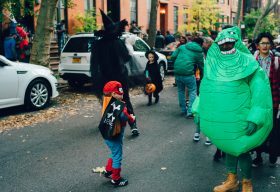 Expect both tricks and treats from the couple at this annual spooky celebration. 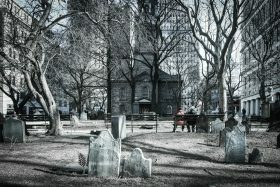 What better way to celebrate Halloween this year than a history lesson in 19th-century death and mourning? 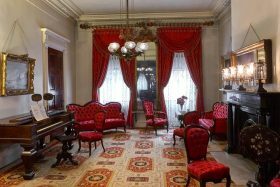 The Merchant’s House Museum released its list of “events to die for” happening in October, all of which promise to be a ghostly good time. 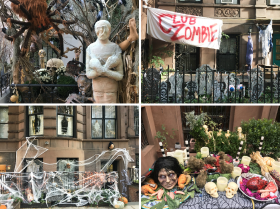 Spooky events include a walking tour following Edgar Allan Poe’s life in Greenwich Village, a reenactment of an 1865 funeral, candlelight ghost tours of the most haunted house in Manhattan, and much more.